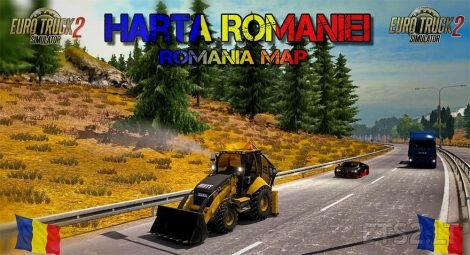 – Name drivers are Romanian. – There are new designs or edit existing ones. Ask who uploaded why not included the torrent link…. Stop complaining like little kids of 5 years Old and start by saying thank you to people working for free for your hobbie. You should not be able to download this considering how unpolite you are. Human Stop complaining like little kid of 5 years Old and start by saying thank you to people working for free for your hobbie. You should not be able to download this considering how unpolite you are. why the constant sirens. is there any way i can turn this feature off. Its a awesome map bro only constant to loud siren. Da la fel ca si la mine , aceeasi eroare nu stiu de ce , dar undeva este o problema imi pare rau ca nu imi merge mapa arata super dar degeaba …. daca rezolvi ceva sa imi zici si mie . Multumesc . Do i need any DLCs ? Am i the only one who experiences gamecrash when using this mod? And is there anyone who can help? – map default vehicle numbers is 50, so, if you have slow pc, can use “Minimal traffic” mod (10 vehicle) or if have super pc and want traffic jam use “Incresed traffic” mod. Those mods must have higher pririty then map. what is that trailer pack that we must have in order to make the map work please ?